Thanx for visiting ChrisGarsonWrites! This site is for people who enjoy reading fiction. I write full length novels, short stories, flash fiction (really short stories) and non-fiction. 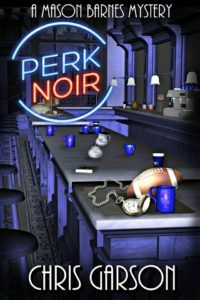 My newest novel is Perk Noir, a piece of contemporary fiction about jazz, coffee, football and ninja girls. It’s got something for everyone – humor, mystery and romance. Give it a try, I guarantee it will surprise you. 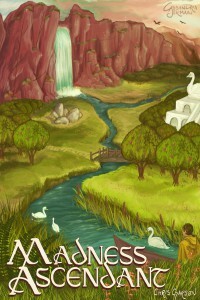 I also write an epic fantasy series titled The Tales of Ages which is set in the world of Sangrar. 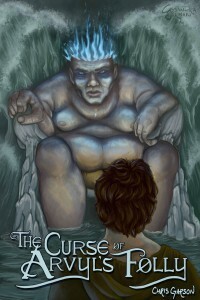 The Tales are narrated by a character named Jerilyn Haligar. The World of Sangrar includes dozens of free short stories disguised as encyclopedia entries about the setting. Jerilyn’s Posts contains Jerilyn’s musings on a variety of topics. It’s the only Sangrarian blogroll in existence. Two novels from The Tale of Ages (Volumes 1 & 2 of the Scales over Sangrithar trilogy) are currently available: The Curse of Arvyl’s Folly and Madness Ascendant.